GAF, North America’s largest and oldest supplier of roofing systems, has created a helpful guide for homeowners on how to inspect their home for storm damage. It’s important to remember that the worst storm damage isn’t always the easiest to see. You may have to go looking for it. 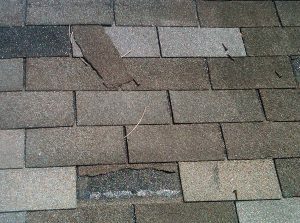 During storm season, be prepared to inspect your roof periodically. The earlier you identify roof damage, the sooner you can contact a qualified roofing contractor to provide necessary repairs before the next storm rolls in. Speak with a qualified roofer to determine if a repair or reroof is best for your home and budget. Granules protect the underlying asphalt from weather, including UV rays. 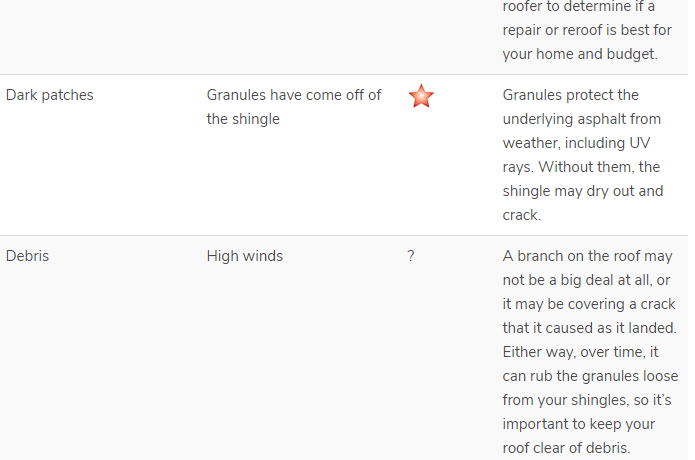 Without them, the shingle may dry out and crack. Flashing helps keep water from chimneys, vents, and other roof penetrations and should be thoroughly sealed to prevent water intrusion. There are other signs of damage not always visible from the ground. If you are comfortable climbing a ladder and the weather conditions allow you to do so safely, you can get a better look at your roof up close. If you aren’t, give us a call and we’ll inspect your roof at no charge! Clogged gutters can contribute to ice dams later in the year. Your roofing contractor may provide gutter cleaning services if you are not comfortable doing the job yourself. If you find damage: Call a local, reputable roofing contractor right away. After storms, you may receive solicitations from unfamiliar contractors looking for work. Modern is a local, GAF Master Elite contractor. Call us or contact us with any questions or concerns about storm damage to your home.